MLA (Meat & Livestock Australia) is running “Lamb Side Story”, an advertising campaign encouraging Australians to put aside their differences and embrace a summer ‘Lambnesty’. 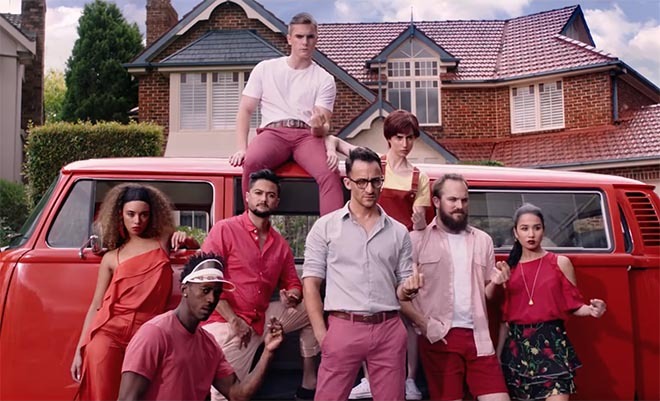 The commercial at the heart of the campaign provides a song and dance homage to the West Side Story musical. 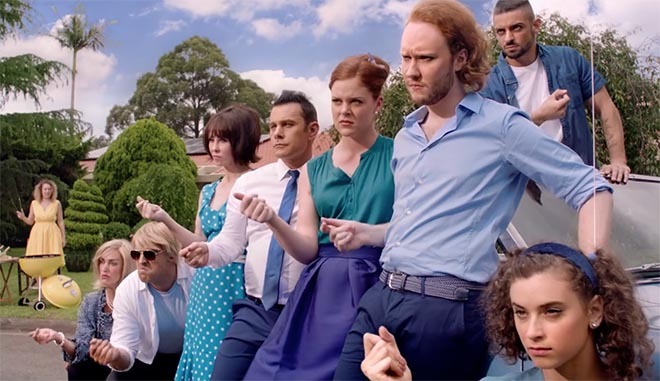 A modern day lamb barbecue set in a suburban cul de sac is momentarily threatened by a showdown between the right wing (in blues and greens) and left wing (in reds and pinks), recreating a scene from the Jets and Sharks. With the stage set, Australia’s diverse opinions go head to head, before ultimately showing that lamb is the one thing that brings everyone together. The Lamb Side Story commercial is being shown acoss digital, social, TV and cinema channels. Nova Network’s Fitzy & Whippa spearheaded the mission, with listeners offered Lambnesty barbeque boxes, as well as a seat to Australia’s first Lambnesty barbecue where people with differing opinions will unite over the ultimate lamb feast. Broadcast partner Channel Nine has integrated the campaign into the channel’s news, sport and social platforms, with on air features with TODAY, Nine News Now and the Cricket One Day International series. In-store, product-focused point-of-sale will deliver lamb barbeque inspiration, focusing on the variety of different cuts and cuisines. Recipes developed by Darren Robertson, Head Chef at Three Blue Ducks and Rocker, will underpin the campaign by inspiring young Aussies to get cooking with lamb this summer. The Lamb Side Story campaign was developed at The Monkeys by executive creative director Scott Nowell, creative director Scott Dettrick, art director Scott Zuliani, copywriter Tim Pashen, head of planning Michael Hogg, planner Charlotte Marshall, head of production Thea Carone, senior producer Jade Rodriguez, group content director Humphrey Taylor, senior content director Katie Wong-Hee, content manager Victoria Zourkas, content executive Will Davies, working with MLA chief marketing officer Lisa Sharp, brand manager Anna Sharp, acting brand manager Rebecca Tearle and assistant brand manager Jasmin Koch. Filming was shot by director Paul Middleditch via Plaza Films with director of photography Daniel Ardilley, executive producer Peter Masterton and producer Alex Taussig. Editor was Stu Morley at The Editors. Sound and music were produced at Song Zu by music director Ramesh Sathiah and composer Gerard Fitzgerald. Media was handled at UM by group director Mike Worden, senior client director Tim Rogers, Sydney strategy director Chris Colter, strategy director David Toussaint, partnerships manager Jessica Ngu and partnership trader Emily Ng. PR was handled at One Green Bean.